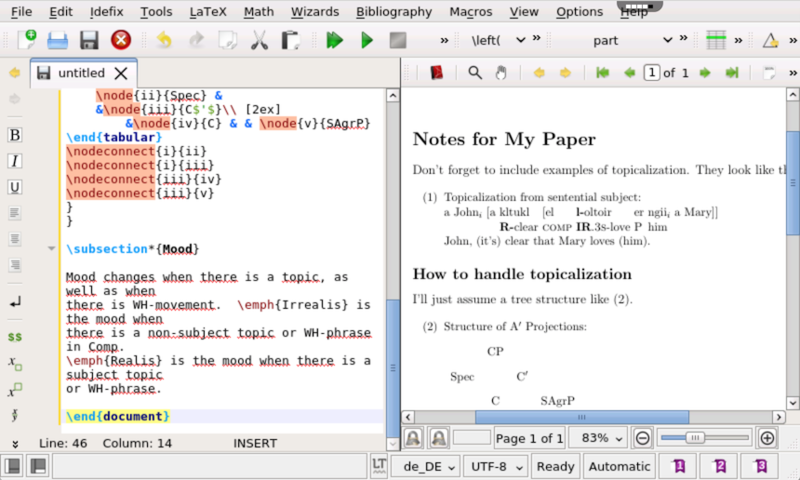 The goal of the application is to make writing LaTeX documents as easy and comfortable as possible. 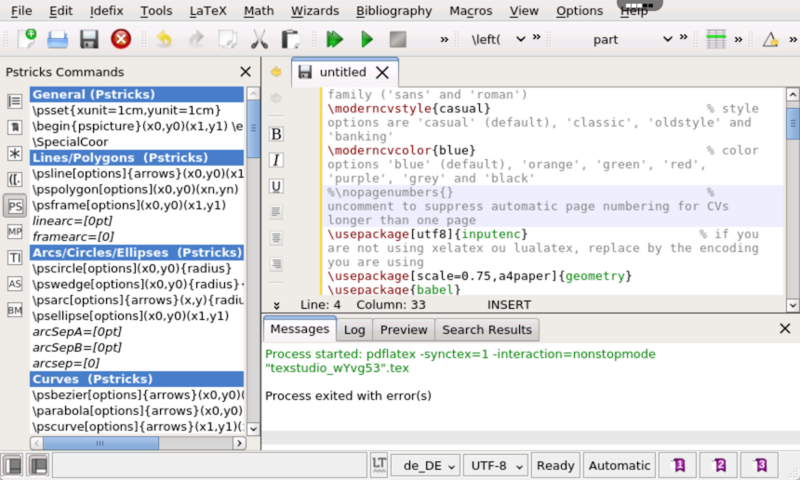 Some of the outstanding features of TeXstudio are an integrated pdf viewer with (almost) word-level synchronization, live inline preview, advanced syntax-highlighting, live checking of references, citations, latex commands, spelling and grammar. Multi-Cursors. Edit multiple positions at the same time. Vertical blocks can even be copied and pasted. Auto completion. 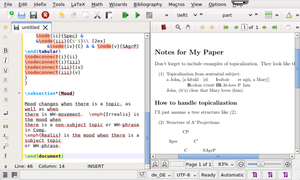 Suggests possible LaTeX commands as you type. There is a tooltip help explaining the command. Completion works also for references and bibliography entries. Use bookmarks too keep references to important places in your text and to navigate there quickly. Tooltips show a preview of the code position. Link overlay. Filenames, references and citations turn into links when moving the mouse over them while holding . 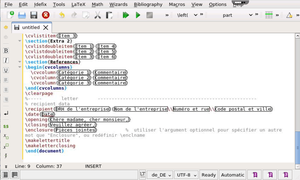 Also here, tooltips show a preview of the code position. Assistants for images, tables, formulas, ... 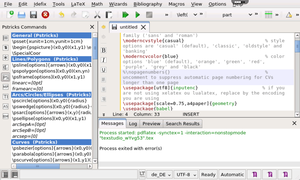 Generate blocks of code using assistants without the need for detailed LaTeX knowledge. Table-formatting. You can copy / paste / insert new table columns with a single click. 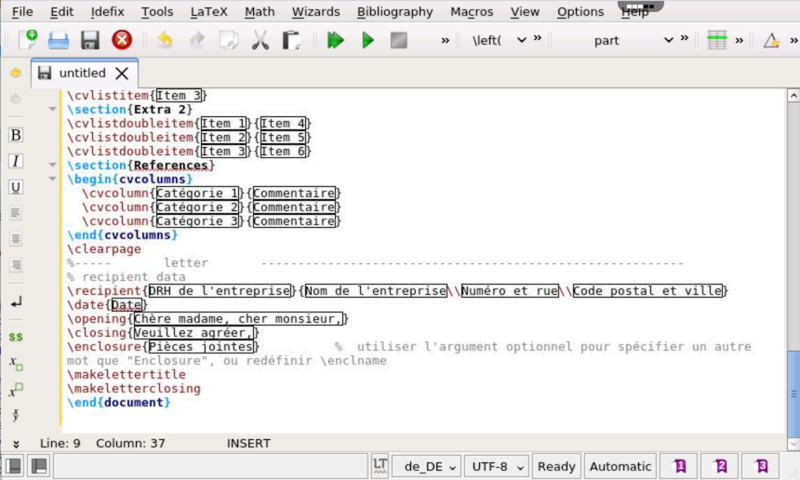 The table-autoformatter aligns the table code.